After 44 days of evidentiary hearings involving 71 witnesses, the Hilo hearings regarding the CDUA Contested Case for the TMT project officially adjourned at 6:41 p.m. Thursday March 2. Contested case party and cultural practitioner William Freitas was the 71st and final witness to testify. 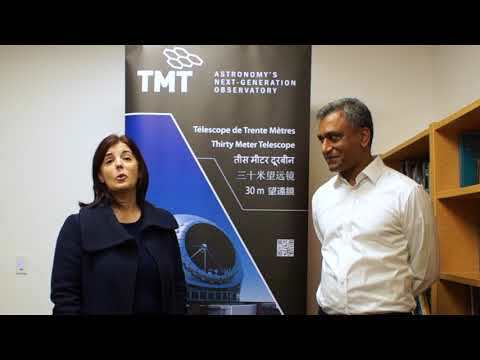 During the hearing proceedings that began in October, both sides of the TMT debate made their case on whether the state should issue a Conservation District Use Permit to allow construction of the Thirty Meter Telescope on Maunakea. Building the telescope away from the Maunakea summit so that the TMT would only be visible from 15 percent of the Hawaii Island. Reducing the size of the telescope dome and adding a reflective exterior coating to reflect the existing surroundings. Constructing TMT a reasonable distance away from several cultural practice areas on Maunakea. The planned telescope will not interfere with views of the sunrise, sunset, or shadow of Maunakea. The Thirty Meter Telescope will not impact the Big Island’s water supply. TMT is already being designed to leave zero waste on the mountain. Being built as a total closed wastewater system, all waste will be collected and transported down the mountain for treatment and/or disposal at a proper facility elsewhere. Archaeological features surveys done on the proposed TMT site showed there are no historic properties or burials on that location. So, what’s next in the process? Appointed hearings officer Riki May Amano gave the hearing parties until March 16 to submit written evidence and other documents to support their legal arguments. A minute order regarding exhibits and closing the document phase will be issued March 23. Attorney Douglas Ing, who represented TMT during the proceedings, explained that all documented testimony, exhibits and court reporter’s transcripts will be compiled in an official record of the case. Based on the compiled testimony, both sides of the TMT issue will then be allowed to make final arguments on why a state Conservation District Use Permit (CDUP) should or shouldn’t be issued to allow TMT construction along Maunakea. From there, Amano will review all the submitted documents and evidence and make a recommendation to the state land board (officially known as the state Board of Land and Natural Resources) on whether a CDUP should be granted. Once Amano makes her recommendation, Ing said, all contested case parties will be given an opportunity to agree with or take exception to individual findings or the conclusion of Amano’s recommendation, and would be allowed to file their reasoning with the land board. Once the state land board reviews the hearing officer’s findings and recommendation, it will hold a hearing on the matter. The state land board will then make the ultimate decision on whether to approve or reject the issuance of a Conservation District Use Permit to lessee University of Hawaii to allow construction of TMT on Maunakea.